What we eat and drink on a daily basis has a direct effect on the color of our teeth. 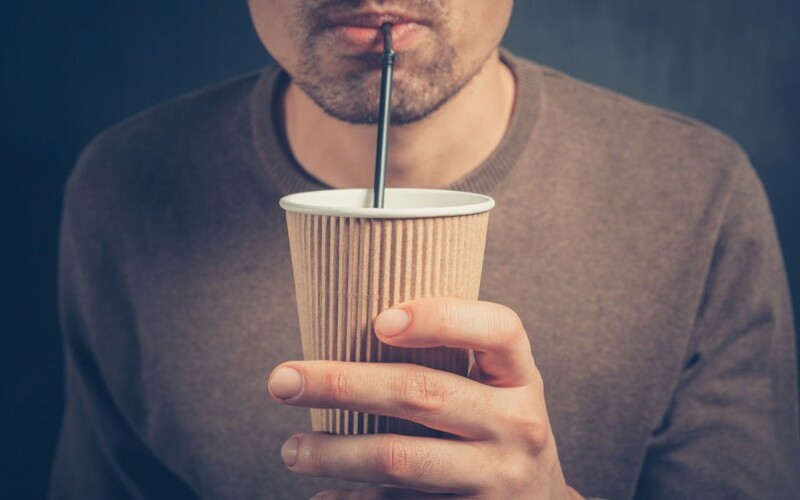 It’s common knowledge that more intense colored beverages are likely to stain teeth, such as black coffee and red wine, but even lighter colored beverages can promote staining. It is the chromogens in food and beverages that cause stains – intensely pigmented molecules that adhere to tooth enamel. Foods that are higher in acid cause discoloration of teeth by breaking down tooth enamel and increasing the effect of chromogens. Since what we consume has the biggest impact on our pearly whites, we present the Top Ten culprits that stain teeth. Black Coffee – Combat the staining affect from the tannins and acidity by adding milk and cream. Berries – Not only dark-colored berries such as blueberries and blackberries cause stains, but also light-colored berries because of the high amount of chromogens. This includes fruit juices too, particularly cranberry juice. Wine – It is the tannins, acid and chromogens that cause stains from red and white wine. Tomato Sauce – It is the acid and pigments that stain your teeth. Soy sauce – Great with sushi, but the deep-colored sauce sticks to your teeth, causing stains. Balsamic Vinegar – Like soy sauce, it clings to your teeth. Tea – Would you believe, black tea is worse than coffee. Switch to less staining teas such as herbal, white and green. Soda Drinks – It is the acidity, sugars, and chromogens in carbonated beverages that promote staining, including light-colored beverages. Sports Drinks – Again, it is the high acidity that softens the tooth enamel, leading to easier staining. Candy – Any sweets that change the color of your tongue will stain your teeth due to the coloring agents. Now, we’re not saying to cut out these foods and beverages from your diet as some have proven health benefits, however, you may want to ease up on the quantities. To avoid staining your teeth with such produce, always have a sip of water or chew sugarless gum after consuming. Another trick is to use a straw when drinking sodas and juices. Though not the best idea when it comes to wine and coffee. Best tip of all, brush your teeth properly, floss and have professional dental cleanings twice a year to remove hardened tartar and stubborn stains. Staying away from tobacco products is probably a good idea too! Previous post: For an instant whiter smile, try Zoom!